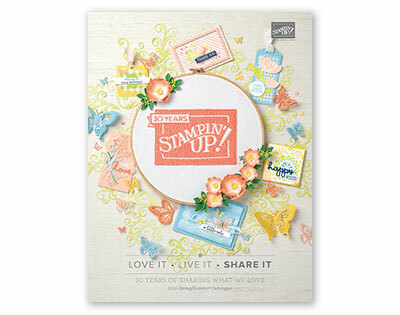 Today I’m using the Hey, Chick stamp set which is available as Sale-a-Bration freebie for just 10 more days, so if you like it get those orders in. 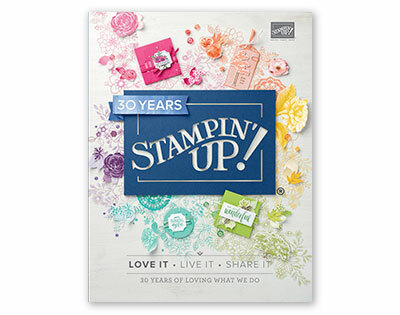 This wasn’t a stamp set which originally grabbed me but after seeing some wonderful projects its a set which has grown on me and one I’ll miss playing with after Sale-a-Bration ends. Originally I was just going to have one chick peeping through the window, but how could I leave out the other two chickens as they all have such cute characters. Each chick was stamped with black archival ink and then coloured with the watercolour pencils and blender pens. They were then fussy cut out which was tricky but worth it I think…all chicks did loose there feet in this process though! The background was created by stamping the Hardwood stamp in Soft Suede onto a base of Tip Top Taupe, which is not a colour I have used very much at all. The window was cut with the 5.5cm diameter circle from the layering circles Framelits. I attached the chick behind the window and the placed a layer of window sheet behind them to create the window pane. The little greetings sign was created by cutting the sign shape from the Build It Framelits out of the circle of card which was leftover from the window. The greeting was added with Early Expresso so it stood out and the marks at the sides are supposed to be nail heads but didn’t quite work as I wanted. I love this fun little card and hope you do to.